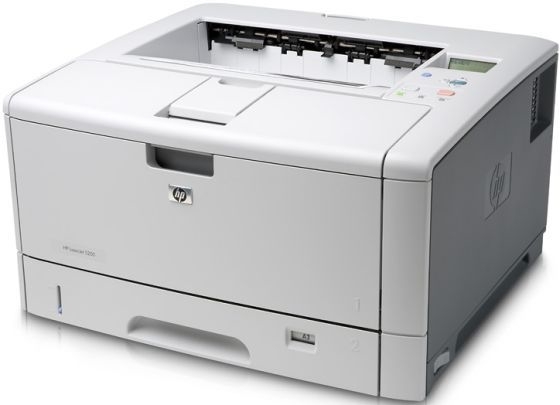 LaserJet 5200n printer is designed to deliver efficiency and versatility this ultra-powerful wide-format tabloid laser printer is flexible and easily manageable to meet the needs of business work teams. Boost the productivity of your office with a 460 MHz processor that produces impressive print speeds of up to 35 ppm with 1200 dpi resolution. Prints that are perfectly suited for marketing proofs architectural plans or financial ledgers and spreadsheets. Versatile paper handling include a 350 sheet standard input capacity that is easily expandable to 850 sheets (with optional tray) to let your productivity and creativity soar printer 11x17 laser. Exact speed varies depending on the system configuration, software program and document complexity.